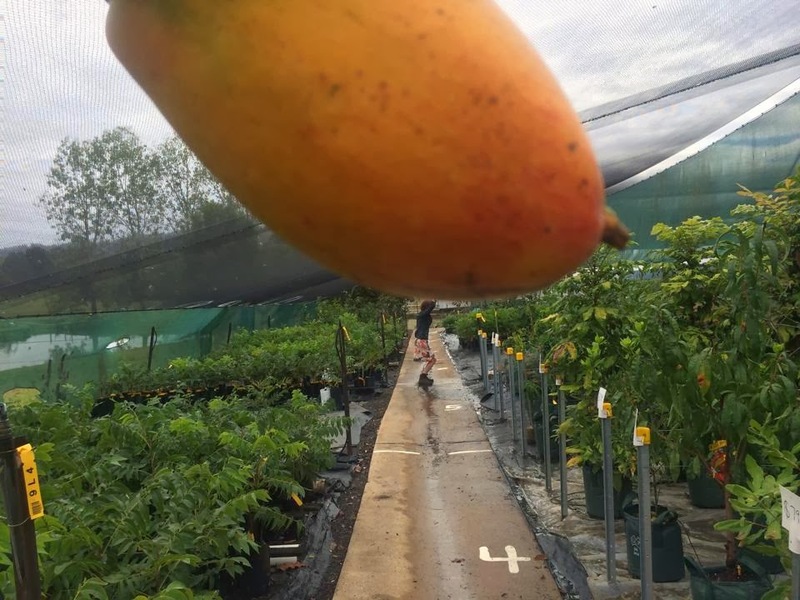 That missing Bowen Mango, Hope this isn't the one I caught Jenny trying to take home yesterday !!! Some People say it was a Crane Driver. But our Staff Member Jenny is caught steeling it right here. Harvest, is there anything better than freshly picked, home grown produce? Just look at the riot of colours and flavours I have picked from my garden today. 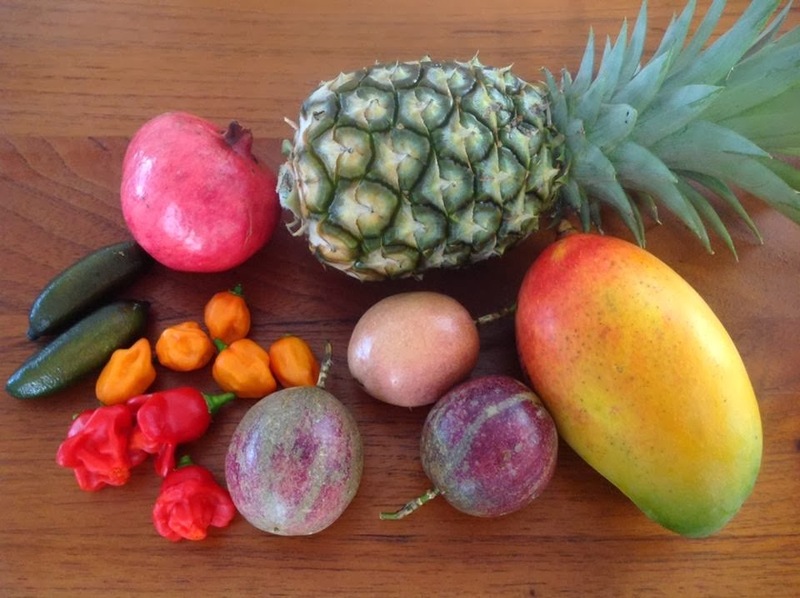 How would you serve up these fruits? 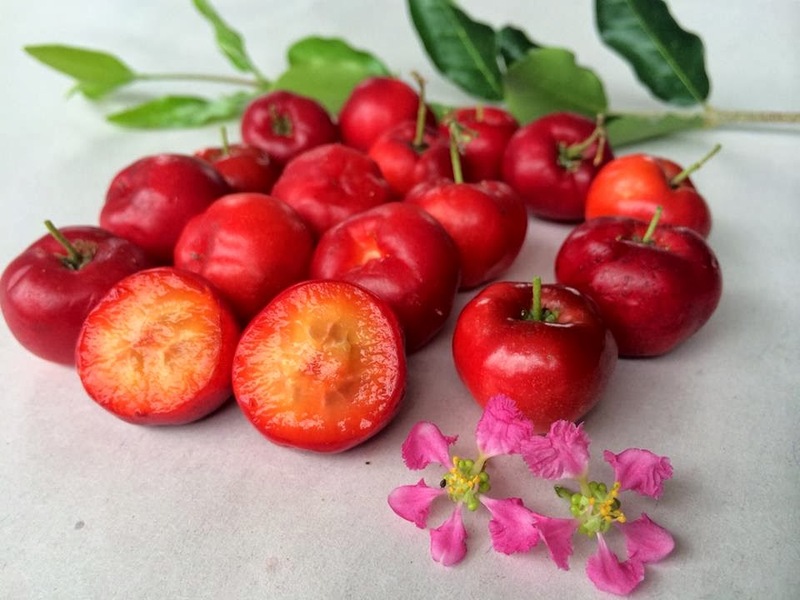 The Acerola is one of our most popular shrubs and for good reason. It is only small, growing to about 3m and is perfect for hedging. It is highly attractive with delightful little pink flowers followed by bright red fruits that deepen to a maroon-red as they fully ripen. 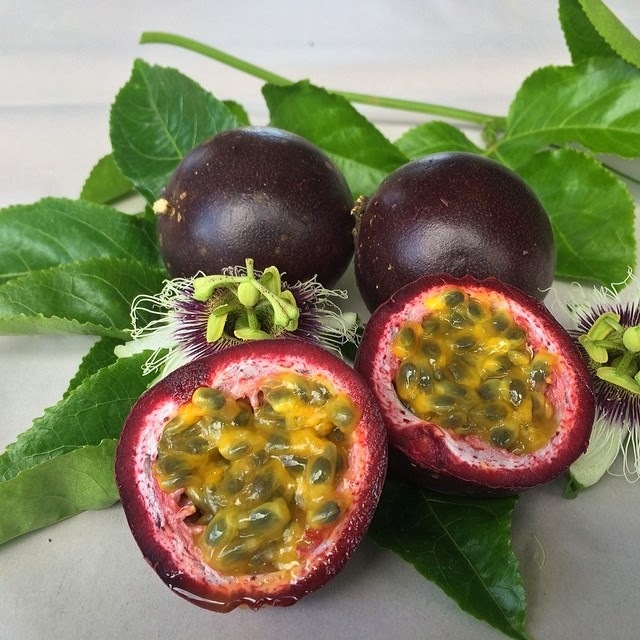 The small tasty fruits of the Florida Sweet selection are packed with vitamin C and have a delicious sweet acid flavour. It is a fabulous shrub for anyone who loves to browse while out in the garden. 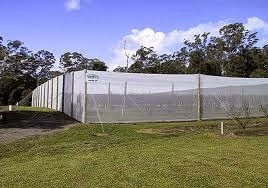 Exclusion netting can make fruit growing a pleasure. It eliminates infestation of pests such as fruit fly and it keep birds and bats away from your precious fruit so that they can be picked after fully ripening on the tree. 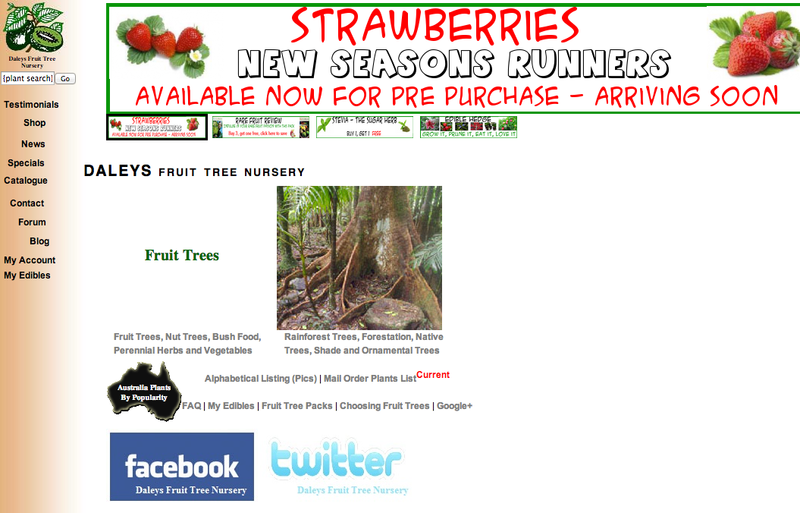 The fruits will have more flavour and will be the best you have ever tasted. Here at Daleys Nursery we are fortunate enough to have the space and infrastructure to allow us to enclose a reasonable sized orchard, it is roughly about 70m x 90m and offers us the opportunity to set up an orchard system that encompasses native bees and some guinea fowls as well. The Bees are our pollinators and the guinea fowls role is to clean up any stray insects that find their way into the orchard. So far it has been a bumper success and we are loving the fully tree ripen fruits. Define Exclusion Orchard: A fully netted orchard where fruit trees can be grown without fruit fly, bats and other pests from damaging the fruit. we started to reap the rewards from our exclusion orchard. Since the netting went up around our favourite fruits we can now pick and eat them without any fear of finding grubs and savour the full flavours of freshly picked, tree ripen fruits. 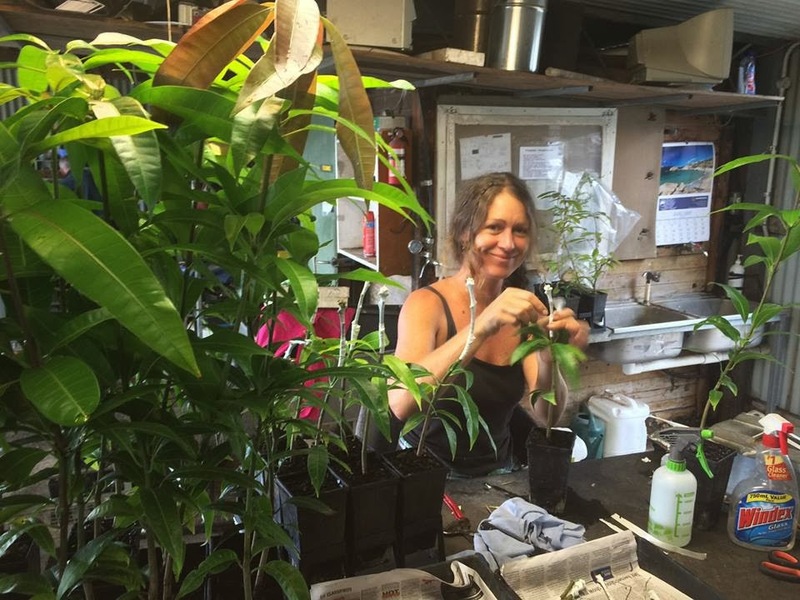 We started the year with the best mango season in recent memory which has been closely followed by a bumper fig crop, it is hard to decide which has been a more enjoyable experience. If you are considering a mini exclusion orchard there are a few important things to remember, firstly you will need to have pollinators inside your exclusion zone. 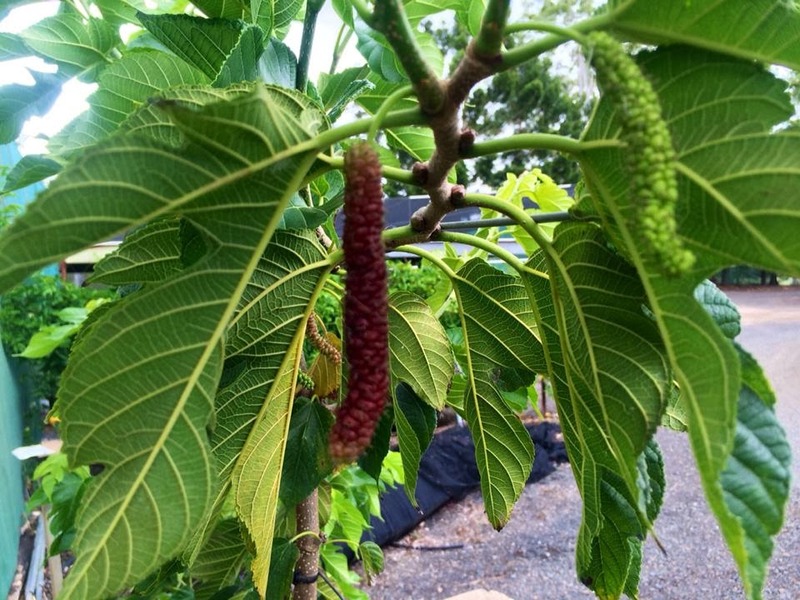 We have installed a native bee hive within the orchard and the tiny stingless bees are hard at work on warm sunny days working our flowers and pollinating the fruit for us. We also have a pair of guinea fowls whose job is to clean up any stray unwanted insects that may happen to enter the orchard. They have raised their first brood of 7 chicks and we are feeling very proud of our success with these shy but interesting birds. And secondly pruning is vital to keep all the trees compact, away from the netting and to keep all those delicious fruits within reach. If you have an exclusion orchard installed at your place we would love to hear from youabout what you grow within and how successful it has been for you and if you are considering a mini exclusion orchard we would also be interested to hear what your plan is. 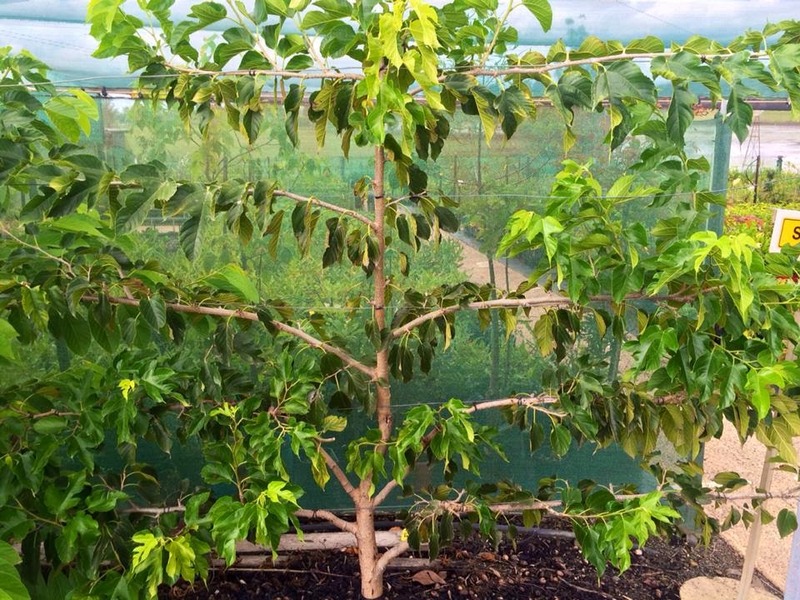 If you want to grow the soursop fruit tree remember it is classified as a tropical fruit tree however in many subtropical climates where you get very little frost it is possible to grow it in these marginal climates. It has been a big transition but we think it will make a positive impact and make navigation a lot more easy for you. Please feel free to comment on suggestions. We are real Instagram addicts and post 2-3 times each week. 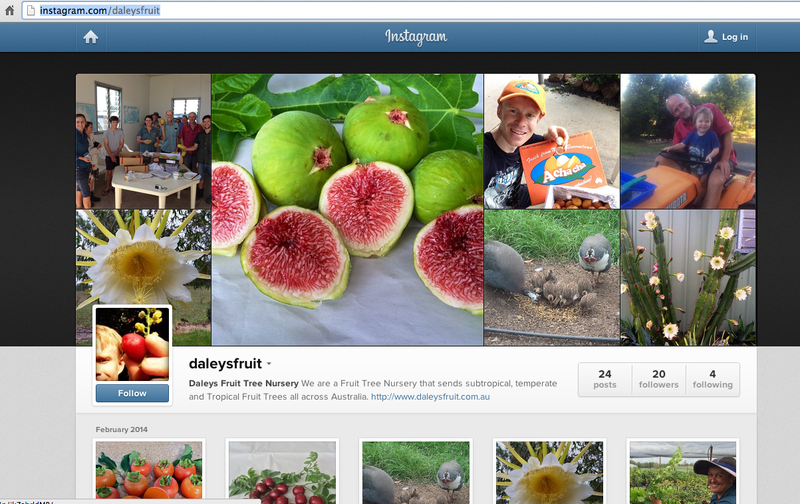 Just search for daleysfruit on instagram on your phone right now for us. We will get you inspired to make that backyard orchard of yours the best it can be. Do you like our new website deisgn? Would you get an exclusion orchard at your place, How much would you spend? What size? 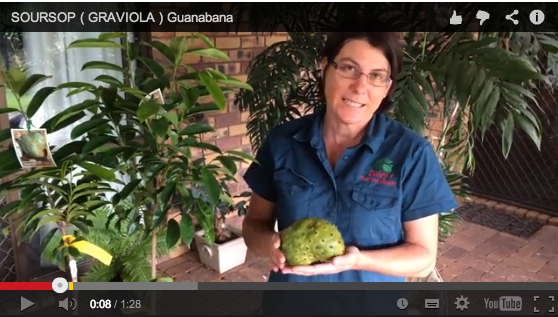 Soursop - Do you think you can grow one? 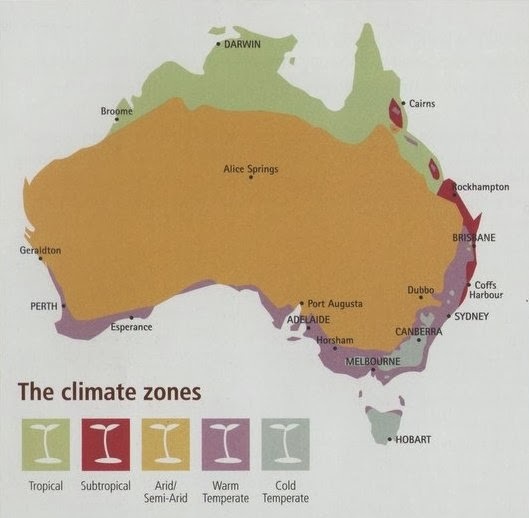 Would you be willing to risk it if you live in a marginal climate? How would you protect it from frost? Our Dwarf Red Shahtoot Mulberry with some late season fruit. They are excellent grown on as an espalier and with summer pruning you can get a welcomed 2nd crop.